India, the land beyond the Indus river, has seen many rulers who dreamt of conquering the vast country and rule from the Himalayas in the north to Deccan in south, from the mountains of Kandhar in the west to Assam in the east, yet very few have been able to subdue history according to their will. Harshavardhana was one such ruler. His empire may not be as large as the great Mauryan's, yet he deserves special mention. After the fall of great Gupta Empire in the middle of the 6th century CE, under whom India saw its own golden age, it was Harshavardhana who unified most of northern India and ruled for four decades from his capital Kannauj. The Vardhana Empire consisted of two distinctive types of territories: areas directly under Harsha's rule such as Central Provinces, Gujarat, Bengal, Kalinga, Rajputana, and the states and kingdoms which had become feudatories under him including Jalandhar, Kashmir, Nepal, Sind, Kamarupa (modern-day Assam). Thus, many historians do not find the title justified as he was never able to bring the entire north under a single command. Yet, this does not mean his power was not felt beyond the limits of his direct rule. His writ ran across entire north India. Under his command, King of Jalandhar escorted the Chinese traveller Hiuen Tsang to the frontiers of India. Another time, king of Kashmir had to submit a tooth relic of Buddha to Harsha. The Chinese source suggests that the King of Kamarupa could not dare to detain a Chinese pilgrim in his capital against the wishes of Harsha. 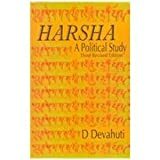 Harsha was a patron of both art and education. He himself was an author and wrote three Sanskrit plays, Nagananda, Ratnavali, Priyadarshika. One-fourth of his revenue went for patronizing scholars. Hiuen Tsang gives a quite vivid description of the famous Nalanda University which was at its zenith during Harsha’s reign. He described how the regularly laid-out towers, forests of pavilions, temples seemed to "soar above the mists in the sky" so that from their cells the monks "might witness the birth of the winds and clouds". Caste system was prevalent among Hindus. They were divided into four castes or varna: Brahmana, Vaishya, Kshariya and Shudra, which among them had their own subcastes. The untouchables, who came at the lowest in the hierarchy, led a miserable life. The status of women declined as compared to the liberal era of earlier times. Satipratha (widow immolation) was common, and widow remarriage was not allowed in higher castes. Chugani, Gaurav. "Harsha." Ancient History Encyclopedia. Last modified March 14, 2016. https://www.ancient.eu/Harsha/. Chugani, Gaurav. "Harsha." Ancient History Encyclopedia. Ancient History Encyclopedia, 14 Mar 2016. Web. 21 Apr 2019. Written by Gaurav Chugani, published on 14 March 2016 under the following license: Creative Commons: Attribution-NonCommercial-ShareAlike. This license lets others remix, tweak, and build upon this content non-commercially, as long as they credit the author and license their new creations under the identical terms. Please note that content linked from this page may have different licensing terms. Harsha becomes king of Thaneshwar. Hiuen Tsang comes to India. Harsha fights and gets defeated by Pulakesin II. Harsha adds Bengal to his empire.